As well as a list of examples, there is also advice for those who cannot readily think of anything great to say about their partner! 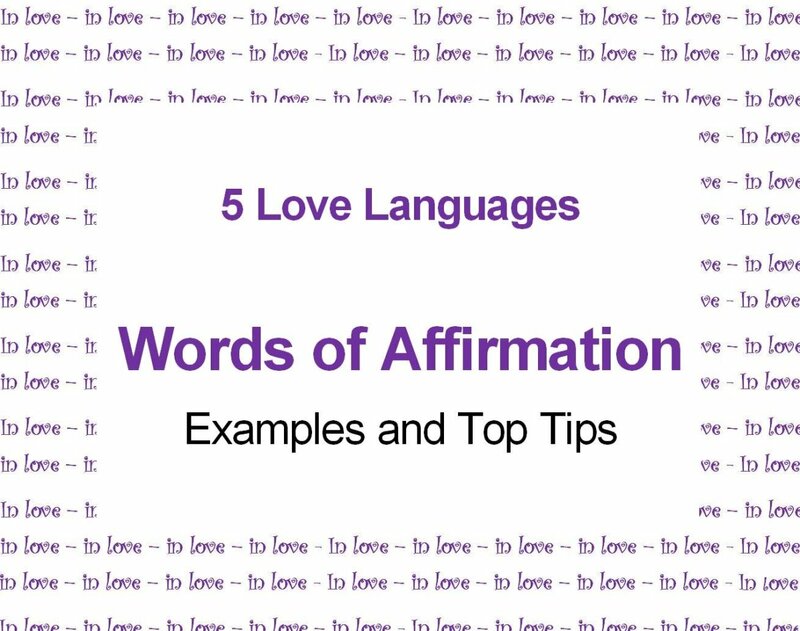 Also, see below for a variety of ways to convey words of affirmation, how to accept affirmations and compliments gracefully (very important), and what readers of The 5 Love Languages have to say about the book. I love being addicted to you. You did a difficult job really well. I look forward to waking up with you every day for the rest of my life. I love the unique way you giggle. You have the cutest nose, ears, eyebrows...whatever. You’re doing great—don’t give up. Your effort and persistence are astounding. You’re a great mother/father/stepmom, etc. No one does it quite like you—you’re the best. I love you, need you, want you. I feel blessed to have you in my life. IMPORTANT: ONLY say what is heartfelt and genuine. Therefore adapt, omit, and add to the examples on this page as required and develop the habit of offering words of affirmation every day—whatever the initial response. If you cannot readily think of anything positively noteworthy to say about your wife, husband, or partner, you are likely taking him or her for granted. It's worth taking the time out to stop, reflect, and comment on how your wife or husband enriches the lives of others, be your children, extended family, friends, colleagues, and/or community, not to mention you. It’s good to notice and acknowledge the little things as well as the more obvious things, and give thanks for that everyday routine stuff that is mostly taken for granted. For example, "Thank you for getting me my favourite _____ every week—that's so thoughtful." Aim for at least a couple of genuine heartfelt compliments, words of appreciation, and encouragement daily. a short love note in an unexpected place where you know they will come across it (e.g. saying “missing you - can’t wait till you get home”. and/or to give some of the reasons the spouse or partner is loved, appreciated, desired, and cherished. Say, “Ah, thank you” with a smile or wink. Blow a kiss as a thank you. Give a hug as you thank them. The above are examples of how to graciously receive compliments or words of affirmation from a partner or spouse. It's very important to avoid negativity which might discourage further affirmations. Often people wonder if it is possible to get things back on track or progress to a relationship that is even better than it was before. When one person is bending over backwards to please the other and the effort goes unappreciated, it can lead to entrenched relationship-killing resentment, so efforts to rekindle will need a distinct change of direction. Being educated about the five love languages and knowing how your partner best appreciates and feels loved, it is possible to channel and harness efforts in the direction that will be most noticed, valued, welcomed, and effective. This can ultimately rekindle the lost love. Make it a habit to look for the positive in a partner and acknowledge it to them on a regular basis. This way on those occasions when a negative has to be worked through, it can be done in perspective and not seen as condemnation. Make a point of noticing the good things in life generally everyday and share these thoughts with your significant other. When complimenting, add specific details that will let a spouse know that they are genuinely appreciated. For example, "You look great in that suit—I love how the colour brings out your skin tone, eye colour," or "You're such a patient and caring parent—I especially like how you ... " give a specific example(s). Remember that asking your spouse about their day, how they are, and/or how they feel affirms concern in their well being and shows interest and care. Make the effort to listen actively and respond with understanding. The author of The 5 Love Languages advocates affirming the good qualities a spouse possesses to third parties, which could well make a spouse positively beam when the news gets back to them. Of course, you can directly compliment your spouse when others are present too. Dr. Gary Chapman gives many many other examples, tips, and solid advice on speaking the Words of Affirmation Love Language, and of course the other four love languages. For those committed to boosting their chances of going the full distance with the love of their life, The 5 Love Languages is a worthwhile read to say the least. Readers have said that it helped them understand their own reasons for doing particular things with and for their partner, and how both they and their partner show love in ways which they were unaware of. One five star reviewer said the book made “life changing good sense”. It's about how to relate and convey love to a partner in the way that they can most feel and accept. Each of the five love languages is explained in detail, and broken down into dialects that individuals can relate to. 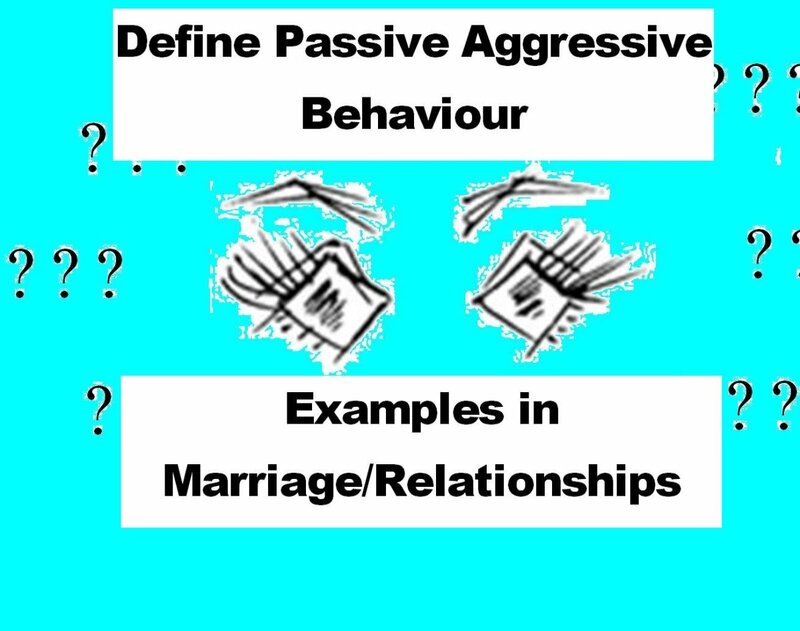 Help is given for ascertaining a partner's love language even if they do not do the quiz designed for this purpose. Some felt the book could be thought of as a "training ground" to rekindle romance and bring about a significantly happier and more fulfilling marriage/relationship. Indeed it is aptly described as the secret to love that endures forever. Reviewers say that the book can certainly help those in committed relationships and marriage and some also observed it could give a heads up to people who are currently single so that they are armed with the tools to make their next relationship more fulfilling. Some have said they now regularly give the book as a wedding gift to family and friends, such is their belief in its principles. Some commented that they do not often read books, but were happy to read this twice: such was the impact of the book they wanted to get the most out of it. As to reviews of the book: 94% give it either 5 or 4 stars out of 5. I couldn't have chosen a better woman/wife/mother, man/husband/father. You're the one I love—just can't help myself! I just can't explain how deep my love is. Even when you make me mad, I still love you. Even if I tried, I could never stop loving you. Perhaps your spouse lets embarrassment or self-worth issues get in the way of appreciating a genuine compliment. There are some essential observations about the impact of inadvertently offending, insulting, or interrogating the person giving the compliment that you should know. It also discusses the consequences of this behavior, why some people find it difficult to accept words of affirmation, and how they could eventually start to feel warm and accepting. 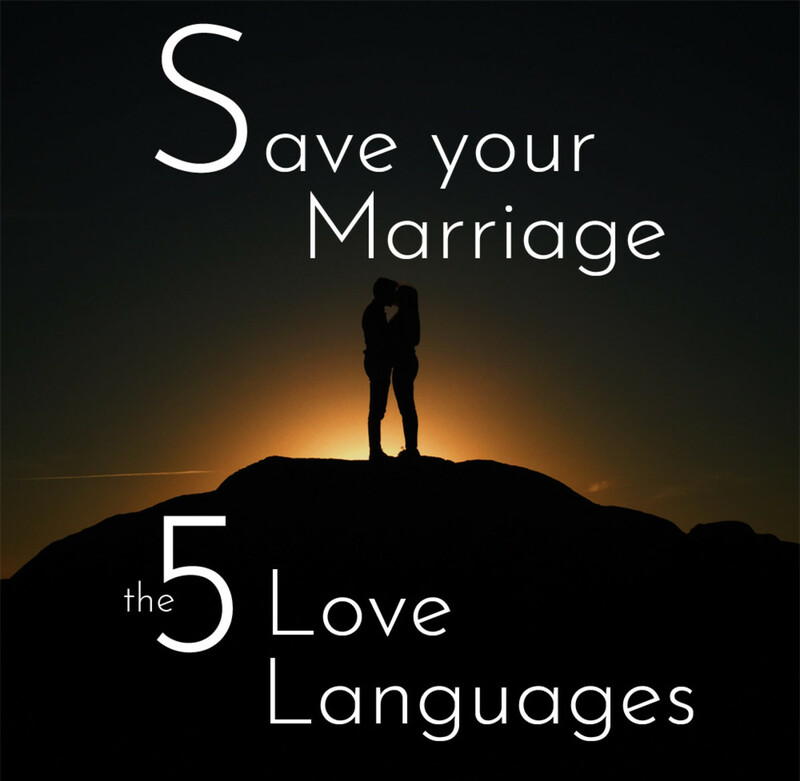 The strategies advocated by The 5 Love Languages are a powerful way of making a difference in your marriage. 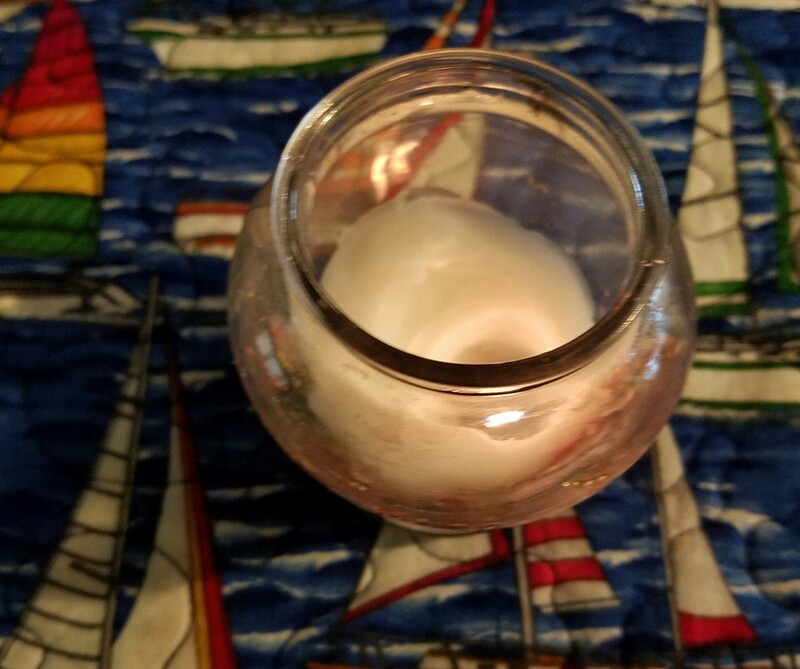 However, if you are experiencing extremely profound relationship difficulties you may want to consider how counseling might benefit you in addition to applying the love languages. Many thanks for sharing your views. I agree it's great to express love in a variety of languages and in focusing on a particular language(s) would not entirely exclude the other languages. I guess it's all about juggling emphasis with balance. I think Love should be expressed in all the five languages, why just one or two?. I appreciate you getting in touch and, to be honest, I'm sure there may be a good many people who are jealous of your wife - in that she has a partner who has taken time to look into how he might uplift her and the relationship. Now off you go and put this into action. I feel sure your consistency will pay off. Thanks again. Thank you for this article! Even though I am a trained public speaker, I am often times not very good with how to respond to my wife's need for words of affirmation. This article is full of great examples and resources. Thanks! My feeling is that words of affirmation in a text, e-mail, note, letter or whatever can be just as powerful as the spoken word on the telephone or face to face. Sometimes I think texts etc. can be even more poignant as when we write things down we have more time to consider our words carefully and find just the right way to best express our deep feelings of admiration, praise, encouragement or whatever. Also, some people find it embarrassing to give or receive a compliment face to face and having it done via the written word can take away some of that uneasiness for the giver or receiver. But of course we're all different and some may prefer to hear affirming words face to face, given the choice. When you don't have a choice, as in your situation when your boyfriend is on the road, seems to me it's a good option. Plus another nice thing about stuff written down is that you can go back and read it over and over, adding to the "feel good" vibe. I guess it's why we tend to keep old "love letters" and revisit them for years to come. If your boyfriend is a words of affirmation person, I'm sure he'll be more than happy for you to text in these terms so do give it a try if you haven't already. Many thanks for dropping by. So Words of Affirmation is certainly a primary language for you and if those around you know and practise this you must be a very happy bunny! I do agree giving the book is a great gift for a couple, be they at the start of their relationship or much further down the line. Four percent (4%) of the population learn by what they hear (not what they see). I happen to be one of them and I have to hear in order to respond effectively. Words of affirmation keep me alive, and in turn I give them readily. I've bought and given away several copies of Chapman's book because it is a relationship saver. Thanks for this study.